News coverage of autonomous vehicle technology makes it sound like the issue is settled. Within just a few years we'll all be riding around in vehicles without drivers, taking us wherever we want to go. Traffic accidents will be a thing of the past, since the computers driving the vehicles will never make a mistake. But how realistic is that? Even if the technology is error-free like the engineers seem to think it will be, how realistic is a driverless car for the average consumer? First of all, there's the cost. When you shop for a new car today, you'll find advanced safety features and technology upgrades, like lane-straying warnings, are only available on top of the line trim models. In other words, if you buy an affordable base model, you can't get it. Is there any reason not to think that autonomous technology will be very expensive and only available on top of the line models when it is introduced? That means the first few years it is introduced, there will be autonomous vehicles on the road with cars and trucks still piloted by human beings. How, exactly, is that going to work? The Auto Insurance Center has spent some time thinking about that and has asked consumers what they would do with the time spent in the car if they didn't have to drive. The Center says the average American commute is around 26 minutes each way. That translates into a little less than an hour each day, some 4.3 hours per week driving to work. When you factor in taking the kids to school, trips to the grocery store, or heading out for a night on the town, time in the car really begins to add up. When the Center asked 2,000 consumers how they would use that time, the overwhelming answer was "catch up on my reading." Nearly as many said they would make phone calls or get started on the day's work. Wouldn't you be a little nervous that the computer was capable of getting you from point A to point B safely? In fact, 35% of consumers in the U.S. said they would keep an eye on the road even if a computer were doing the driving. But consumers in the UK, Australia, and China are all a little less trustful, with more of them saying they would likely be backseat drivers. And it turns out nearly a quarter of U.S. drivers say they are not comfortable riding in a car with no driver. But consumers in Japan and the UK are even more leery. "As we learned, not everyone likes to jump into a new technology with both feet or with both eyes closed," the authors write. 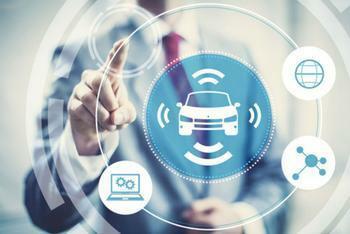 While some estimates suggest autonomous vehicles will be hitting the road within three years, most consumers may have a longer time before they have to confront that prospect.